Client: Cefa Onlus - Exhibition period: 6 September / 6 October 2013. Giacomo Beccari, Gaia Calamosca, Alessandro Miti. photos: Fabio Mantovani, Alberto Giancani. 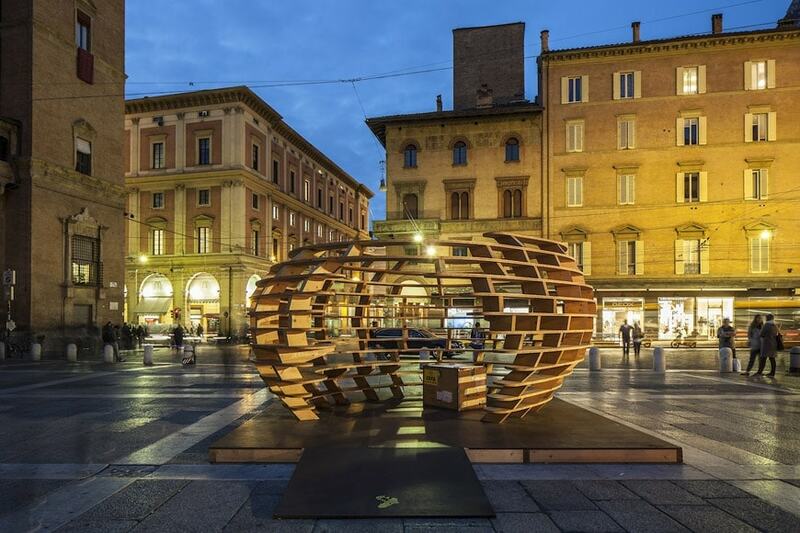 The seed is the project for an open-air temporary pavilion, in many aspects exemplary of such type of structures: an intriguing form, capability to convey a message, inexpensiveness and a simple building process. The organic form, logical consequence of the metaphor of a seed adopted by the authors, hence its name, has been obtained by layering flat silhouettes simply screwed to wood battens. Furthermore, the clearness of the design allowed the structure to be assembled by non-specialised volunteers. 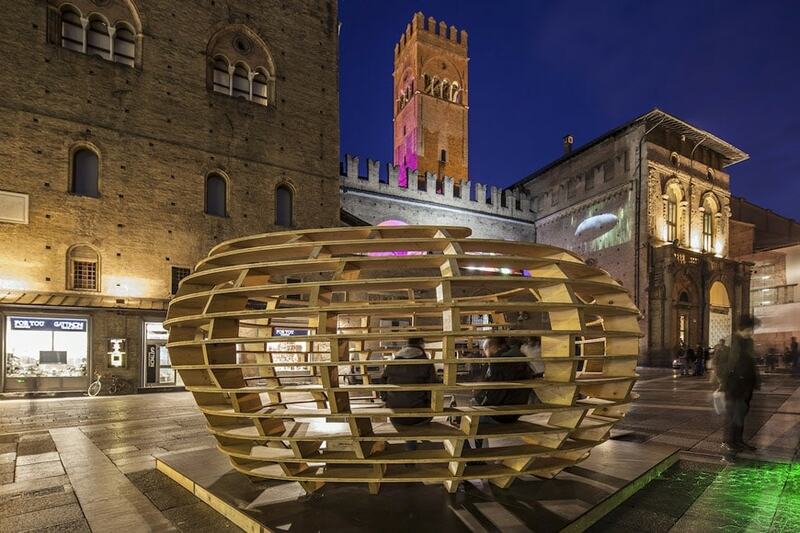 a view of the pavilion – copyright Ciclostile architettura – photo Fabio Mantovani. The Seed of Solidarity is a temporary pavilion for Cefa Onlus, a non-governmental voluntary service organization. 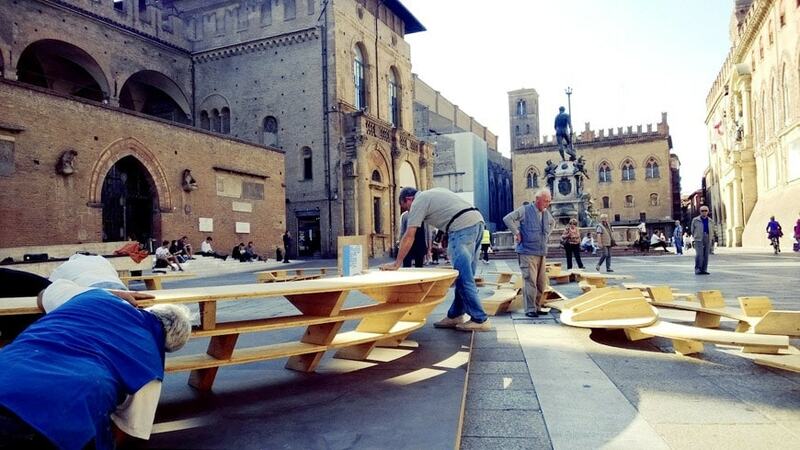 The municipal administration of Bologna has hosted the Seed in Piazza Nettuno, to allow the association meet the city in the two weeks before the World Food Day. plans, cross-sections and detailed drawings of the Seed. The Seed is designed to accommodate a dozen people, the depth of the ribs that compose it, draws two tables at different heights and a bench, circular form is capable of creating an intimate atmosphere despite the large visual permeability. The ribs are the backbone, are the furniture and the shading system, are separated by wood battens, the only other element, in addition to the screws, which composes the constructive system. 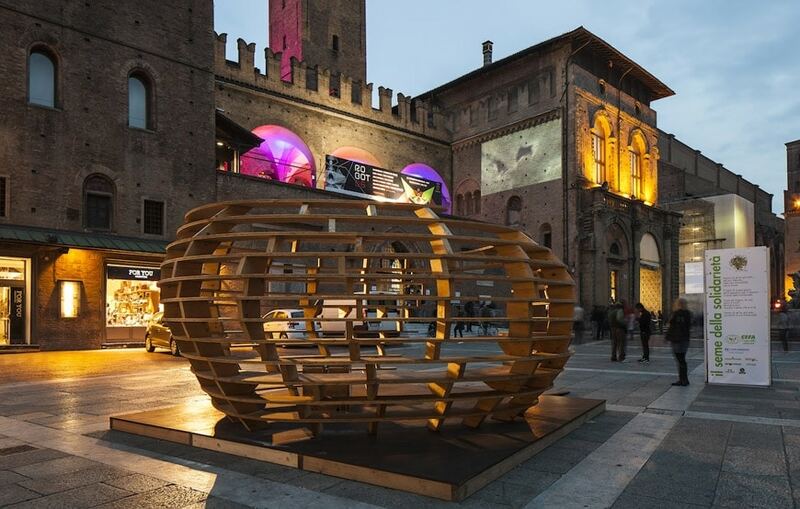 The Seed during construction, copyright Ciclostile architettura – photo by Alberto Giancani.